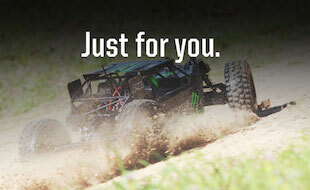 According to the “Coming Soon” section at www.tamiyausa.com, Tamiya’s super-detailed line of 1/14 scale trucks will soon be offered as “XB (eXpert Built) RTRs. The King Hauler, Globe Liner, Knight Hauler and Ford Aeromax will all be available, as well as the box trailer and tanker trailer kits. It gets even better: Tamiya’s stunning sound and light system will be installed! For full-size big-truck fans, these are the ultimate RC machines. The kit versions are shown here, no official pics of the XB trucks are available yet. For fans who want to enjoy Tamiya’s industry-leading R/C tractor trucks but don’t have the time to build the kits, we now offer them as convenient factory finished full operation sets. Superb 1/14 scale professionally assembled R/C tractor trucks. Highly detailed truck bodies are expertly painted for the most accurate appearance possible. Each truck comes with Multi-Function Unit MFC-01 (ITEM 56511) pre-installed to recreate fully controllable light, sound, and vibration actions. 9 types of ultra-bright LED lights include headlights, fog lamps, and turn signals. 24 types of digitally-recorded sound effects include air-brake, shift change, and reverse signal. Vibration unit enables realistic vibrations synchronized with engine sound effects. Running battery & charger are separately required.